David Read is GateWorld's co-editor, and has been with the site since 2003. He lives in Phoenix, Arizona. 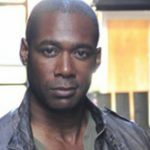 SG-1 guest actor Dion Johnstone talks about the trend-setting characters he played in the series, and what's ahead for him. 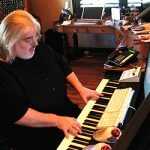 The man responsible for scoring 334 episodes and two DVD movies has passed away. 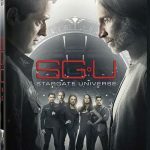 The final season of Stargate Universe is now available in homes.  Read GateWorld's review! Our SGU screen capture gallery is now complete with over 1,100 high quality images from the series finale. 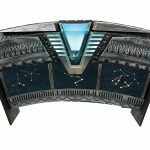 Have a special look at some iconic pieces of Stargate history, ready to gate into your home today. UPDATED with a fourth video. 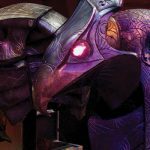 Hundreds of props, costumes and set pieces will be going up on the live auction block one final time through Propworx. A very rare and special piece of Stargate history -- a section of Stargate itself -- could be yours very soon. 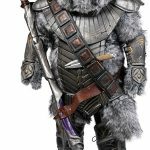 Propworx is selling the prototype Jack O'Neill marionette in this week's eBay auction of nearly 50 Stargate items. 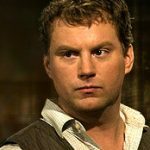 SGU actor Patrick Gilmore takes us through the mind of Destiny scientist "Dale Volker," as well as the his character, "Trennan," in Riese. MGM and Propworx have announced they will auction a trip for two to the sets of SGU inside one of today's lots. The third and final exclusive look at tomorrow and Sunday's Propworx Stargate auction is here, starting with video footage from preview day! With pre-registration for the Stargate auction well underway, GateWorld takes another look at some of the exclusive items up for sale this weekend! GateWorld takes a look at 16 magnificent pieces of art, costumes, props and set decoration from the September 25th Stargate auction!